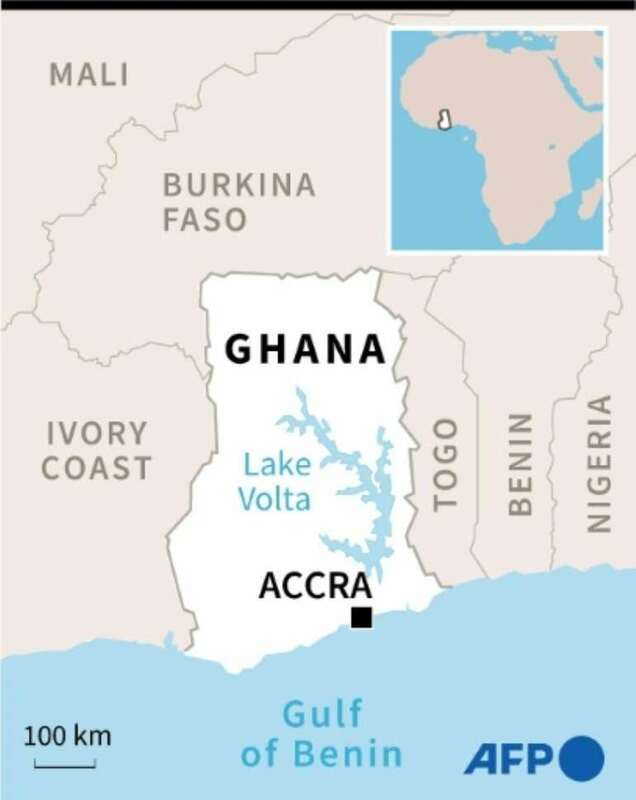 At least 60 people were killed on Friday in a head-on collision between two buses in Ghana, police said, in the latest deadly crash on the country's roads. The smash happened at about 2:00 am (0200 GMT) in the Bono East region, some 430 kilometres (270 miles) by road north of the capital, Accra. "At least 60 people have been confirmed dead and one of the buses caught fire, with the other seriously mangled," he added. The buses were each carrying about 50 passengers at the time of the crash. One of the buses caught fire, leaving people burned beyond recognition. Emergency services were at the scene, including firefighters who put out the blazing vehicles. Kwame Arhin, a doctor at the Kintampo Government Hospital, said 28 people were being treated for head injuries and multiple fractures. "Seven out of the 28 passengers who were rushed here are in critical condition," he added. The cause of the crash was yet to be established but local media said a driver of one of the vehicles lost control after falling asleep. "Some of the survivors are telling us that their driver was feeling sleepy at some point during that time of the night so he was asked to park but he refused," Kintampo fire service commander Ankomah Twene told local station TV3. "We believe it contributed to the accident," he added. A survivor, Rose Anane, said: "I was fast asleep then I heard a loud bang. We managed to break the glass and it was just a few of us â€“- about 10 â€“- who managed to move out. "In a matter of seconds then the vehicle went on fire with the others still trapped in the car. We watched on as the fire consumed them. It was late into the night." The crash has renewed calls for the authorities to enforce traffic rules to reduce deaths and injuries on the country's poorly-maintained road networks. "We've been speaking to the local assembly to fix rumble strips on the road but they said this is a highway so it's not possible," said local resident Gifty Mintah. Rumble strips are a noise-making safety feature that alerts drivers when their cars are at the edge of the road. "But people keep dying and for how long are we going to look on for people to keep dying?" Crashes are common on highways in Ghana because of poor maintenance, disregard of traffic regulations and unroadworthy vehicles. An average of six people die on the roads every day, according to the Motor Transport and Traffic Directorate (MTTD) of Ghana police. In July 2017, players from one of Ghana's leading football clubs, Asante Kotoko, were victims of a crash in which their team bus rammed into the back of a stationary truck.